Throughout centuries, Russia’s foreign policy has been shaped by the developments in the West, how the status of Russia as a global power was evolving in that light, and how its national strategic interests were met by key external actors. In the aftermath of the demise of the Soviet empire, the new leadership and the elites had embarked on a quest for a new sense of national identity. Initially, a pro-Western vision of national identity and foreign policy was espoused by the Russian leadership, which was consistent with their perception of the world at large. Subsequently, following the economic decline, the new Russian worldview derived primarily from the perception of its economic backwardness relative to the steadily growing Western economies and the ideological unity among most of the Western countries relative to the political chaos, disorder, and disintegration trends that dominated the Russian domestic arena. As a result and in response to these threats, the need for a strong leadership in Russia became more salient. Tsygankov points out that Statists, along with Westernists and Civilizationists, constitute the three distinct traditions, or schools, of Russian foreign policy thinking. He maintains that these schools “sought to preserve Russia’s international choices in ways consistent with the schools’ historically established images of the country and the outside world.” Westernists tend to embrace Western modes of thinking, stressing Russia’s similarities with the West. Civilizationists have always viewed Russian values as different from those of the West. Statists, on the other hand, have always sought to preserve and increase the role of the state and its ability to sustain the social, political and international order. Statist way of thinking is conducive to the consolidation of state control. More importantly, Statism is reinforced and accompanied by a strong national idea. For Statists, the West is seen as a threat to a strong state because Western interests are thought to weaken statehood in Russia. Therefore, Statists, by their nature, tend to prevent and undermine any Western involvement and influence in Russia as well as across the globe. One of the central preexisting factors leading to Statism is the presence or perception of the external threat to the security of the state. Plans to expand the US military presence in Europe and in the former Soviet territories had sparked a new wave of statist thinking because of the perception of immediate threat to Russia’s state interests, among other factors. Current Russian leadership can be best described as Statist and hardly Westernist, especially when one looks at how issues related to national security and cultural identity are being approached by it. The following chapters will provide evidence of the resurgence of statism in Russia and expose the general shift in the Russian foreign policy in greater detail. I would start with the Adapted Conventional Armed Forces Treaty in Europe (ACAF). We have not simply stated that we are ready to comply with the treaty, like certain other partners have done. We are actually implementing it: we have removed all of our heavy weapons from the European part of Russia and have placed them behind the Urals. We have reduced our Armed Forces by 300,000. We have taken several other steps required by the ACAF. But what have we seen in response? Eastern Europe is receiving new weapons, two new military bases are being set up in Romania and in Bulgaria, and there are two new missile launch areas – a radar in the Czech republic and missile systems in Poland. And we are asking ourselves a question: what is going on? Russia is disarming unilaterally. But if we disarm unilaterally then we would like to see our partners be willing to do the same thing in Europe. On the contrary, Europe is being pumped full of new weapons systems. And of course we cannot help, but be concerned. why is this being done, why are our American partners so insistent about implementing the missile defense plans in Europe, if they are obviously not needed for protection against the Iranian or North Korean missiles? It is well known where North Korea is located and what the range of their missiles needs to be to reach Europe. It is clear that it is not against them or us, because everyone knows that Russia does not intend to attack anyone. Why is this being done? Perhaps, to provoke our response and to prevent our integration into Europe. Missiles with a range of about five to eight thousand kilometers that really pose a threat to Europe do not exist in any of the so-called “problem” countries. Any hypothetical launch of, for example, a North Korean rocket to American territory through Western Europe obviously contradicts the laws of ballistics. As we say in Russia, it would be like using the right hand to reach the left ear. A perception of external threat posed by the expansion of US offensive and defensive systems in Europe led Putin to consider a counter-strategy aimed at the revival of the military, building new alternative alliances, demonstratively testing new missiles, resuming strategic bomber flights in close proximity to NATO’s bases, and conducting war games in concert with anti-Western countries. Putin also took steps to restore relations with Germany and France, offering them an alternative Russian-European missile shield to counter US proposals. His 2000 military and foreign policy doctrine refers to NATO as an impediment to securing the Russian strategic interests, yet it also highlights the difference between Europe and US and underscores the importance of the “multipolar” global order. However, European NATO member countries felt reluctant to accept Putin’s proposal, which excluded the US ally. Subsequently, US-Russian relations improved and the concept of multipolarity was mentioned less frequently. The international war against terrorism improved the Russian relations with NATO and in May 2002 the NATO-Russia Council was formed in which Russia became one of the twenty members. Its goal was to promote cooperation in fighting terrorism, crisis management, arms control, rescue operations and emergency situations, to name a few. In summary, Putin’s foreign policy and rhetoric related to the US defense initiatives manifest his increased awareness of the threat to Russia; highlight his reluctance to cooperate and his willingness to pursue exclusive Russian national interests while neglecting the international commitments formerly supported by the Yeltsin administration. 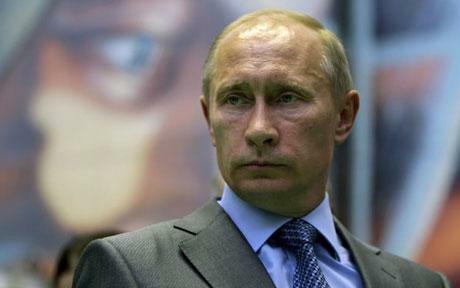 His rhetoric supports the argument that Putin perceives Western security efforts with increased caution and enmity. Whereas his opposition to Western security initiatives can be seen as a response to the rejection of his proposals to deploy joint missile defense systems with both Europe and US, his great power ambitions and national identity objectives appear to be the main vehicle of the new foreign policy course.